Don¹t miss our first-ever writer¹s workshop, Reading, Looking & Writing that will focus on poetry-writing with noted poet Gail Mazur. The grounds and collections of the Wakefield Estate will provide the backdrop and inspiration for a lively discussion about the origins and development of poems followed by a time for each to practice new skills and craft and share original poems. The Workshop will run from 11:00 am - 3:45 pm. Following the workshop at 4:00 pm, the public is invited to hear Ms. Mazur read poems from her published work. 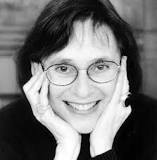 Gail Mazur, a highly acclaimed writer and poet, is the founder of the Blacksmith House Poetry Series in Harvard Square, which became, with its weekly readings, a center of poetry life, bringing national and international writers to read in a lively informal atmosphere. Her first collection, Nightfire, was published in 1978, followed by The Pose of Happiness, The Common, They Can¹t Take That Away from Me, Zeppo¹s First Wife: New and Selected Poems ­ which was winner of The Massachusetts Book Prize. non-members. Lunch provided. The reading at 4:00 pm is free and open to the public; please RSVP. Call 617-333-0924 to register or to RSVP.